In 2016, MSNBC introduced the world to Road Warriors, a group of young correspondents who cross the country covering political campaigns for MSNBC, NBC News, and NBC News Digital. For the 2018 midterm elections, MSNBC brought back the road warriors for more coverage. In a recent USA TODAY article, four of them — Kasie Hunt, NBC News Capitol Hill correspondent; Jacob Soboroff, MSNBC News correspondent; Gadi Schwartz, NBC News correspondent and co-host of “Stay Tuned;” and Gadi Schwartz, MSNBC road warrior — shared their insights for traveling under some unusual circumstances, which can be helpful whichever side of the aisle you lean. In order to learn about a new area, Hunt said she seeks out local coffee shops right off the bat. Chatting up locals is a great way to find out more about the area. Politicians know how crucial these places are and often stop by for a meal. As the face of the news, Hunt must be able to go live at a moment’s notice. So how does she stay camera-ready virtually anywhere? She makes sure her clothes, makeup, and a hairbrush are always within an arm’s reach by keeping them all in her carry-on bag. She said scarves serve many purposes, from a fresh look on camera to a layer of warmth on a plane. With earplugs, a travel pillow, and a scarf, Hunt is able to sleep just about anywhere. Irregular sleeping can be offset with a Tylenol PM or a phone app for relieving stress and enabling the listener to relax and ultimately fall asleep. Hunt is also adamant about bringing along external batteries to keep her phone fully charged. Eating healthy can be tough while she’s on the go, so she tries to balance the healthy with the unhealthy. Finally, she makes sure she uses TSA’s PreCheck and other travel rewards programs. Like Hunt, MSNBC correspondent Soboroff must be able to hit the road at a moment’s notice. Such urgency can wreak havoc on a person physically and emotionally, notwithstanding the ability to be camera-ready. Soboroff offers a unique suggestion: drink coffee, shower, drink more coffee and throw in an occasional shave. Another travel secret? He only uses carry-on bags, and never checks his luggage. He also said puffy jackets are a great alternative for pillows while trying to catch some sleep on a flight. Locations don’t always offer fitness facilities, so he improvises with Pilates and push-ups in his room. Other days he runs and stretches whenever possible. NBC News correspondent Gadi Schwartz relies on YouTube to motivate him to work out on the road. Not a huge fan of fitness, Schwartz appreciates the music to keep him moving. Eating Acai bowls when he can is another healthy choice and juices are a go-to when he feels under the weather. A bigger challenge is appearance, from the need for a haircut (which often results in taking matters into his own hands) to keeping his wardrobe neat. The secret to his success though is something everyone has: pockets. Headphones, cash, keys, charging packs, glasses, all have a home and become easily accessible. He always keeps them in the same pockets so he knows where everything is. Technology comes into play with three time zones on a watch, which allows him the ability to stay aware of deadlines. Drowning out noise helps him sleep, and something as simple as a cooler room and avoiding technology before bedtime also helps him fall asleep. Finally, NBC News correspondent Morgan Radford has found a sleep mask is her essential key to sleeping anywhere. In fact, it’s always in her purse. Like Hunt, Radford carries a scarf for making an ordinary outfit look a bit more polished. Her makeup musts include concealer and light lip gloss. She packs only versatile luggage: her four-wheeled, two-handled suitcase and stackable backpack that doubles as a briefcase and foldable purse with essentials. Radford also focuses on healthier living: some weeks, it’s a strict diet and less exercise; others, it’s more exercise and a less strict diet. Either way, vegetables are her go-to for keeping energy up. Road warriors, how do you survive spending so much time on the road? Do you have any special suggestions for those of us who are getting into the road warrior arena? Please share any suggestions with us on our Facebook page, or on our Twitter stream. We’re busier than ever. While we used to have to DVR our shows and catch up with them later — and before that, we videotaped them or made sure to sit down when they actually aired! — mobile devices now give us the opportunity to not only be entertained but informed, no matter where we are or what we’re doing. We used to be held captive by the TV monitor at the airport gate area, now we can use some mobile apps to control the content we read, watch, or hear. While everyone knows about apps like Spotify, ESPN, and Netflix, we wanted to share some more unusual, lesser-known apps for your consideration as you’re on the go. You can use these while you’re in the car, on the plane, or just shuffling around your hotel room as you get ready for bed. And you can use them at home as well. 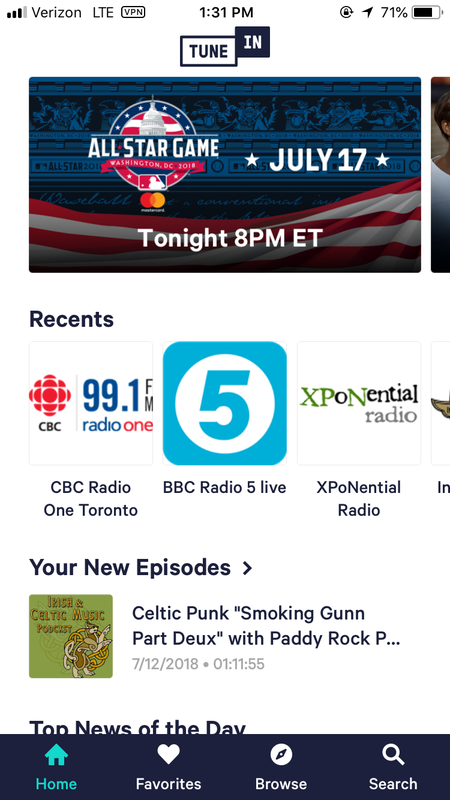 If you like listening to the radio, particularly to keep yourself updated about what’s going on in your hometown, TuneIn Radio allows you to hear your local commercial or NPR station from anywhere in the world. 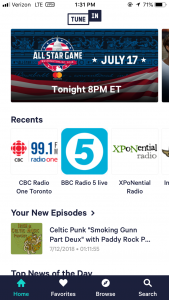 It will let you listen to any local radio station that also broadcasts on the Internet, as well as download podcasts and even listen to certain sporting events, like MLB, NFL, and even the World Cup. The same is true for your local TV station and your local newspaper. 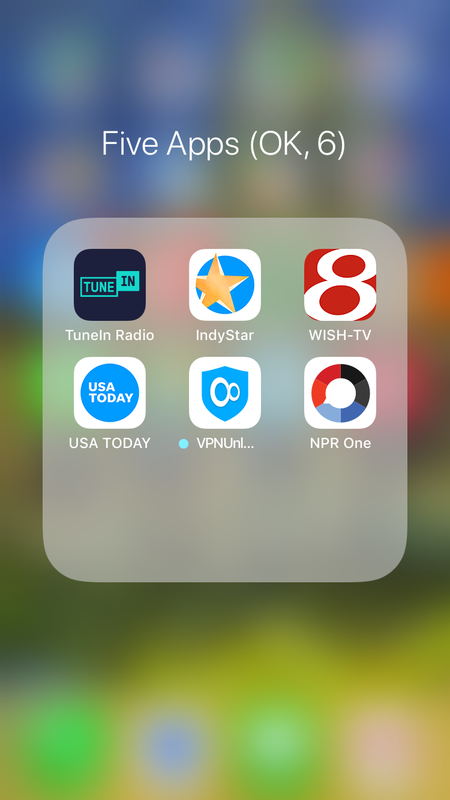 An easy check in your app store will let you know if your local ABC, NBC, or CBS affiliate has an app where you can find local news. If your town’s newspaper doesn’t have its own app, you might be able to access it if it’s owned by Gannett Company. The publisher of USA Today also owns over 100 daily newspapers and over 1,000 weekly newspapers and offers this local content through its app. All these can provide you with a taste of home even when you’re away. Six apps to help you stay entertained and informed while you’re on the road. If you want to stream content on your phone or tablet and protect yourself from being throttled by your data provider, you may want to look into VPN Unlimited. While not an app, this virtual private network service allows you to sign in and choose from a list of preselected servers in different countries. For example, you can access international content from these servers such as World Cup coverage in Iceland or the Olympics as they’re televised in Canada. For those who don’t have cable, this is one way to access premium sports coverage without paying. You’re just watching content provided by another country’s public access channels. Finally, if you’re traveling overseas and want to watch Netflix, you can’t, since Netflix doesn’t allow access to U.S content from outside the country. To work around that lockout, VPN Unlimited also has a dedicated Netflix server which allows you to watch your U.S.-based Netflix from anywhere in the world. 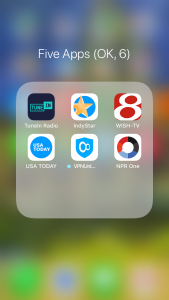 NPR One is the news junkie’s favorite app. Unlike the regular NPR app, which is sort of like a streamlined public radio-only version of TuneIn, the NPR One app lets you select the news, stories, and podcasts just for you. It’s like building your own NPR newscast. The regular NPR app is great for if you want to find your favorite classical, jazz, or eclectic music radio station (like KCRW’s Eclectic24 from Santa Monica, California), but I especially like NPR One for its focus on news and information. What kinds of entertainment apps do you use to stay entertained and informed? How do you keep up with news from home or your favorite destination? Share them with us, the more esoteric the better! Leave us a comment on our Facebook page, or on our Twitter page. 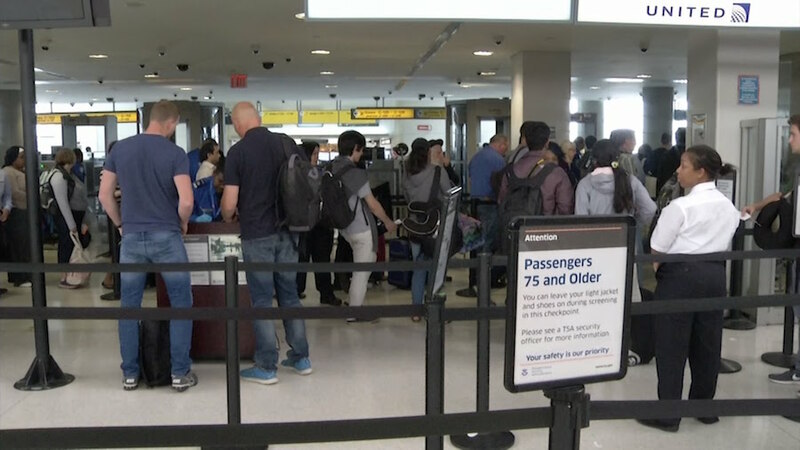 Enhanced carry-on screening procedures that were tested at 10 U.S. airports during last summer’s peak travel season have now been implemented across the entire security system, which are adding some extra steps to the TSA security check process. 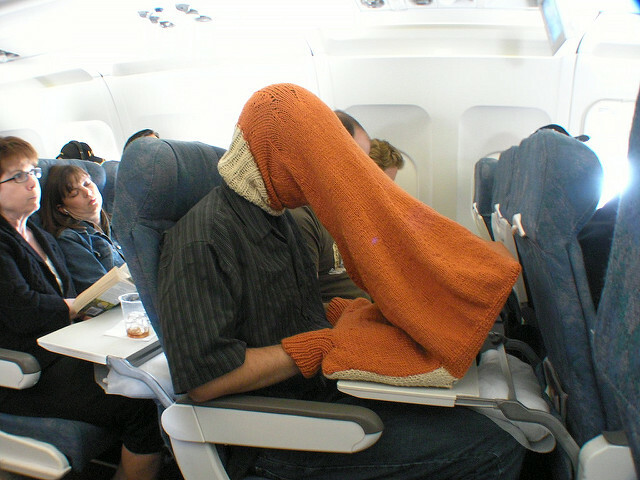 The biggest change comes in how travelers must handle their personal electronic devices. 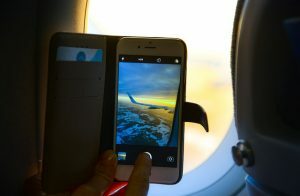 While it has been a requirement for years that laptops be removed from carry-on luggage and placed in a separate bin, now any personal electronic device larger than a cell phone must also be screened outside the bag. 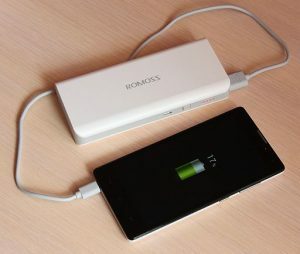 The list includes tablets, e-readers, and handheld gaming systems, while batteries for charging these devices have not yet made the list. “By separating personal electronic items such as laptops, tablets, e-readers, and handheld game consoles for screening, TSA officers can more closely focus on resolving alarms and stopping terror threats,” said TSA Acting Administrator Huban A. Gowadia. Travelers carrying food and powders through security may also be subject to removal so TSA officers may obtain clear x-ray images. The administration advises travelers to keep their bags uncluttered and organized in order to avoid being selected additional screening of specific items. 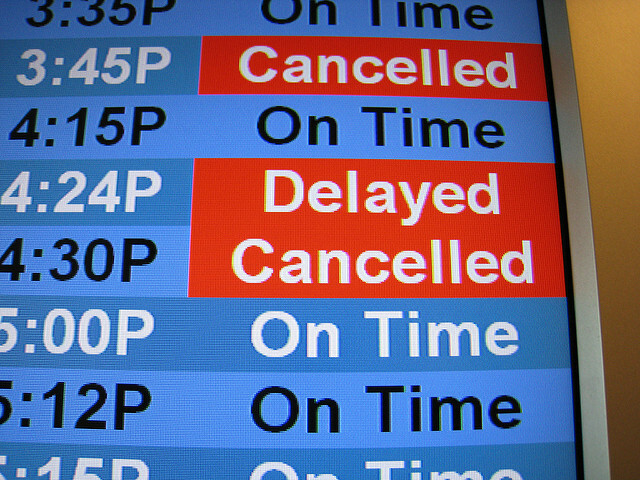 Also, be aware that some of your items may just call for extra screening anyway, so add some extra time and don’t cut your flight time so close. For example, carrying a stack of books in your bag may get you pulled aside for additional screening. I know of one person who was traveling with six of his books in his bag to sell at a speaking event, and they showed up as a dense mass on the TSA x-ray machine. So a TSA agent checked each book to ensure there weren’t any explosives inside the pages of the book. The whole process only took an additional 10 minutes, but that could have been a problem if his flight was boarding at that moment. Individuals with TSA PreCheck are exempt from the new regulations, which is just one more reason to sign up for the security-skipping program. Staples, the office supply chain, in partnership with security firm, IDEMIA, has announced it will make applying for the five-year priority screening available using 50 IdentoGo enrollment centers at stores in Boston, Chicago, Dallas, Los Angeles, New York, and Seattle this summer. For $85, PreCheck-approved travelers can leave their shoes on and do not have to remove any liquids, electronic devices, belts, or jackets as they go through security. What plans or contingencies do you have for these new TSA screening guidelines? Have you already experienced them? What did you think? Leave us a comment on our Facebook page, or on our Twitter page. 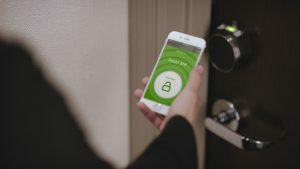 As if we weren’t already using our smartphones for everything, including as an automated assistant and running our smart homes, Hilton is now offering a “smart room” for its hotels nationwide. This will provide their guests the ability to manage their preferences without putting down their beloved devices. According to a story on TravelMarketReport.com, the hotel chain plans to make some of its rooms “mobile-centric” this year, allowing guests to change the thermostat, operate the light switches, and sync their streaming service to the room’s television through the Hilton Honors app. And making the hotel room feel more like home will be possible by uploading personal images to the room’s digital frames. Then, you can take photos of your loved ones with you without actually packing any photos in your suitcase. This move is the first in the hotel’s ultimate goal of providing guests the ability to use voice commands to control these features. If you already have an Amazon Echo or Google Home device, you’re already familiar with how they work. A simple “Alexa” or “Okay Google” will let you activate one of its different commands, like turning on smart lights, changing the channel on your TV, or even ordering more coffee from Amazon Pantry. Hilton is currently testing the system in one of their hotels, but said they plan to “scale rapidly” in the US this year. Hilton expects to adapt the connected room based on the feedback it receives from its users. Hilton Honors app users already have the ability to check in, make their room selection, and open the door with a digital key, thus skipping any check-in lines if you’re at a conference. According to the company, four million keys have been downloaded since the program’s inception. Marriott International is also vying for guests interested in utilizing mobile-centric amenities. It’s testing a voice-controlled shower and a yoga class video that can be viewed on the room’s full-length mirror. Have you had a chance to use the new Hilton Honors app or smart room? Do you use a similar device at home? Will this make you more likely to stay at a Hilton? Tell us about it in the comments below, on our Facebook page, orin our Twitter stream. 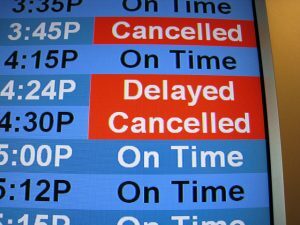 When Hartsfield-Jackson International Airport, the world’s busiest airport, experienced a catastrophic power failure due to a fire this past December, 30,000 people were affected. If you were stranded somewhere due to a local emergency or natural disaster, do you have a plan in place for letting colleagues, friends, and family know of your safety and whereabouts? While it may seem obvious that you could text, call, or take to social media to let those important to you know you’re okay, there are other alternatives you might want to consider as a backup plan if needed. If you’re fortunate to have access to the Internet, contacting coworkers, friends, and relatives can be achieved through the aforementioned options as well as the check-in feature on Facebook. This function became increasingly useful and popular during the Pulse Nightclub shooting in Orlando and the Las Vegas concert shooting. Facebook was able to use a mobile phone’s location finder app, ask users if they were safe, and they could mark themselves as safe, putting friends’ and families’ minds at rest from hundreds of miles away. But what if an incident were to strand you overseas or you weren’t on social media? There are other methods you can use, such as apps that work on wifi or cellular signals. Apps like Skype for phone calls, WhatsApp and Voxer for texting work on mobile phones or even an iPad or iPod Touch with wifi capabilities. And of course, if you have access to a laptop or Internet cafe, you can always send a quick message that way. 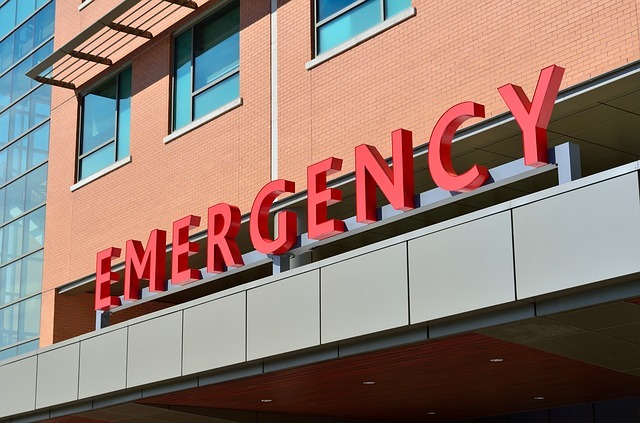 However you decide to get in touch with your loved ones, you should have a plan in place before you travel so that those you leave behind will know how they’ll hear from you in the event of a local emergency. Here’s one suggested protocol. Feel free to establish one that works best for you. Designate one person as your main contact. Provide that person a list of others they should contact once they hear from you. Decide if you want your main contact to broadcast your status via social media or private channels. Let those on that list know who you have put in charge of letting them know of your status. If you have a basic emergency plan in place, you can easily let people know via simple electronic technology. But if worse comes to worse, you can always find a phone booth and call someone collect. 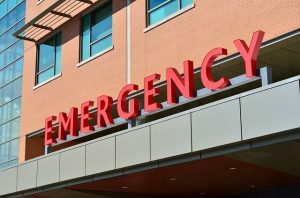 What plans do you have for communicating in an emergency? Do you have any plans or strategies already in place? Have you ever had to use them? Tell us about it in the comments below, on our Facebook page, or in our Twitter stream.